Leng d’Or is a multinational family owned business with more than 50 years’ experience in the Snack sector with presence in 70 countries worldwide. All our 4 state-of-the-art plants, which are located in Spain and The United States of America, comply with the highest food quality and food safety standards. Our most valuable product is the personalized service we offer to our customers, continuous development of new product concepts and on demand technical assistance. At Leng d’Or we have been true to the idea of innovation in all our products for more than 50 years. 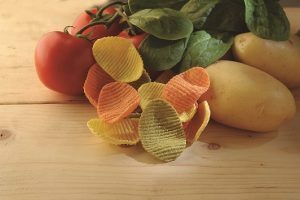 We are responsible of the largest range of Snack pellets in the market using a wide variety of ingredients such as: potato, corn, wheat, legumes, vegetables and many others. Leng-D’Or takes advantage of its experience within the Middle East countries to support manufacturers’ efforts to formulate the best possible products according to each market need. The result is an efficient, cost-effective solution that tastes good, looks good and is good for you.